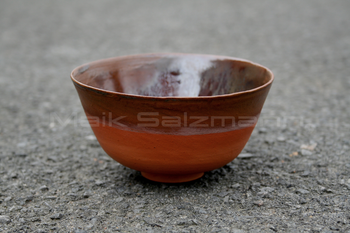 Red firing clay, bought Temmoku iron oxide glazing. Fits good in my hand, my favourite so far. I am quite happy with the proportions, plus it is very thin. 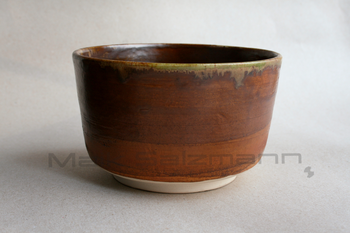 The bought Temmoku glazing is not very pretty, even when put on 3 times. Have to make my own, someday. 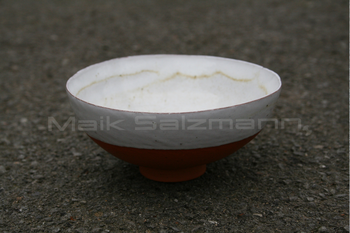 Same red clay with bought white glazing. 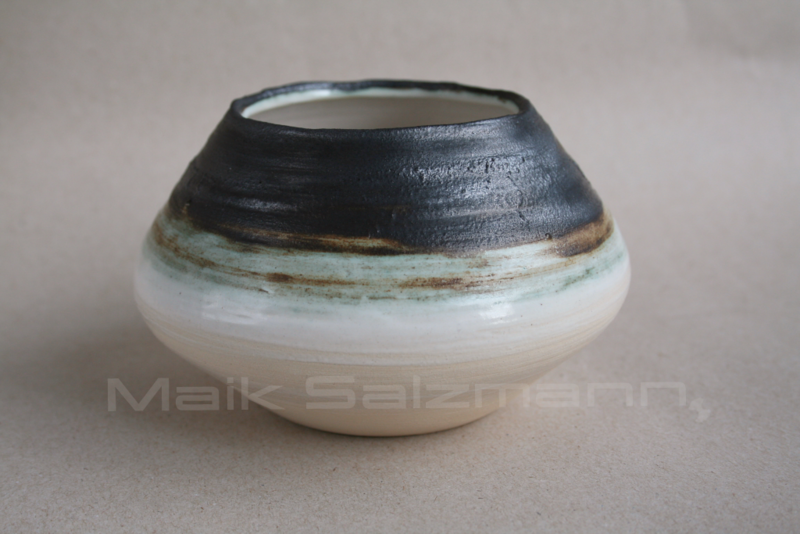 I dusted some black iron oxide on before firing to avoid a clinic white look. No clinic look at all, more like used for some days. 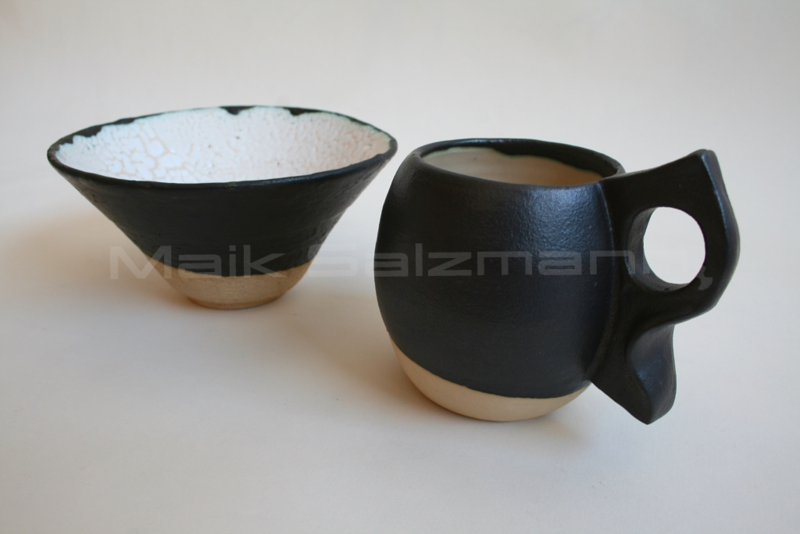 Came out of the kiln like that. I like it, adds some life. Dried to irregluar shape, maybe because being thin walled. Another bowl and my favourite beaker. Fits perfectly to my hand and fingers though next one will be bigger. White clay with bought glazings, outside one with copper oxide. Too big to be called tea bowl, good for dinner.